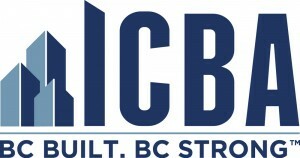 Our Association Partners have provided CITN with the support and vision necessary to become the central training hub for B.C.’s construction industry. Together they are responsible for training over 80 percent of the industry and have built the majority of construction projects in B.C. For more than 40 years, the Independent Contractors and Businesses Association (ICBA) has been the voice of B.C.’s construction industry. Today, ICBA represents more than 2,000 members and clients, and is one of the leading third-party providers of group health and retirement benefits in B.C. and the single largest sponsor of apprentices in the province. ICBA undertakes public policy research and advocacy initiatives focused on the construction sector and responsible resource development. The Canadian Home Builders’ Association of British Columbia is the voice of the residential construction industry in B.C., dedicated to fostering a housing environment in which the industry operates effectively and professionally while maintaining affordability and profitability. It is built on a vision of a strong and positive role for the housing industry, and a commitment to support the professionalism of our members and provide affordability, quality and choice for consumers. Canada West Construction Union (CWU) is proudly independent and proudly Canadian. CWU is committed to advancing workers’ rights by providing strong, professional representation in the workplace – plain and simple. The CWU prides itself on advancing a team-based work place built on mutual respect. They believe that members’ interests are advanced when communication between management and employees is constructive and when the employer sees employees as critical partners in achieving common goals. The B.C. Road Builders and Heavy Construction Association (BCRB&HCA) represents a collection of competitive firms engaged daily in all aspects of road building, rehabilitation, heavy construction, highway maintenance and the supply of related goods and services. They pride themselves in bringing the industry together to work together to discuss issues, find solutions to challenges, maximize business opportunities and celebrate our successes together. Their vision is to advocate for the development and maintenance of core infrastructure and a balanced, safe transportation system that promotes economic growth.